Sunday, April 5th 2015, Redeemed Christian Church of God (RCCG) held a send forth program for Prof Yemi Osinbajo. Osinbajo is a pastor of the Olive Tree House of Prayer for All Nations in Banana Island, a Redeemed Christian Church of God, (RCCG) parish. Following the victory of the All Progressive Congress at the Presidential Polls on March 28th, Prof Yemi Osinbajo will be gearing up to assume his new position as the Vice President of the Federal Republic of Nigeria. 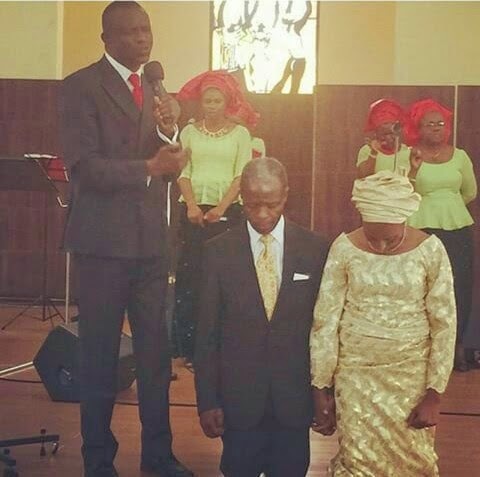 Osinbajo and his wife, Dolapo were prayed for by Bishop Wale Oke.